Lately there has been some chatter about Facebook implementing the Timeline feature on all user accounts. When Facebook first launched the Timeline feature late last year, it was introduced as an optional feature for Facebook users. 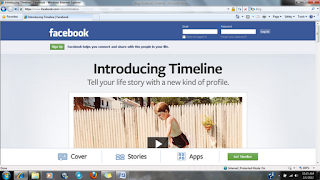 Recently, Facebook announced it will be rolling out the Timeline feature for all users. So, what does this mean to the average user? If you elected to switch to the Timeline profile format when it was optional, it probably doesn’t mean anything to you, except of course, now you will get to see everyone else’s Timeline profile. But, if you are like me, and opted not to switch…now you don’t have a choice. Ok, so this isn’t the first time Facebook has made a change and gave users no choice. But this feature seems to bring additional concerns about privacy so I wanted to do some research to find out for myself. According to their blog update on January 24, users will get the new timeline “over the next few weeks”. Once you get it, and you’ll know this when you have “an announcement at the top of your profile”, you will only have seven days to edit your content before everyone else can see it. Why is this important, you ask? Older posts that were posted prior to the permission settings will default as public. If there is content in these older posts that you may not want the world to see, you have to change the settings one by one. As I searched for information on the Timeline feature, I found an informative post, "12 Things You Should Know About Facebook Timeline" by Jill Duffy of PCMag.com. This article does a great job of summarizing the top things you need to know about the new changes. You should also check out the Facebook Timeline page to become completely informed about how Timeline works, how it will look, how to share or hide stories and how to control privacy settings. I must admit, when I first heard all the buzz - privacy concerns, etc. - about Facebook Timeline I was a little concerned. But now, after I’ve researched it more, I think I might like it even better. One thing I know for sure, change is inevitable and it’s coming to your Facebook page soon! Do you have Timeline already? Do you like it? Follow us on Facebook and Twitter and share your comments. Deana Coan is a communications major at Tarleton State University and an intern on the Social Media Committee of the Texas Social Media Research Institute. You can follow her on Twitter as @DeanaCoan. Hello Team! The blog looks SUPER amazing! I am so proud of you! I am tweeting this entry! May I share these entries on my blog if I attribute them to TSMRI? Sure--maybe as a guest post? Up to you (this is Yvonne, by the way).